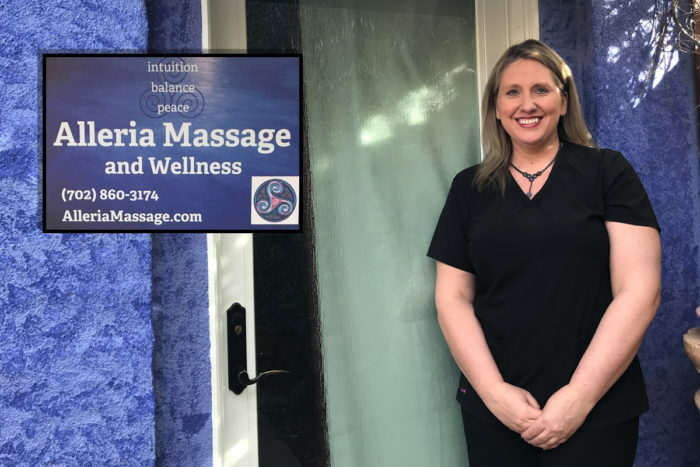 There is a new massage therapy studio in town, Alleria Massage and Wellness, operating out of Milo’s Cellar & Inn (located downtown at 534 Nevada Way) upstairs in the Inn courtyard. Meet Anissa Larkin! Anissa has 18 years of experience as a massage therapist, and has an incredibly diverse background. 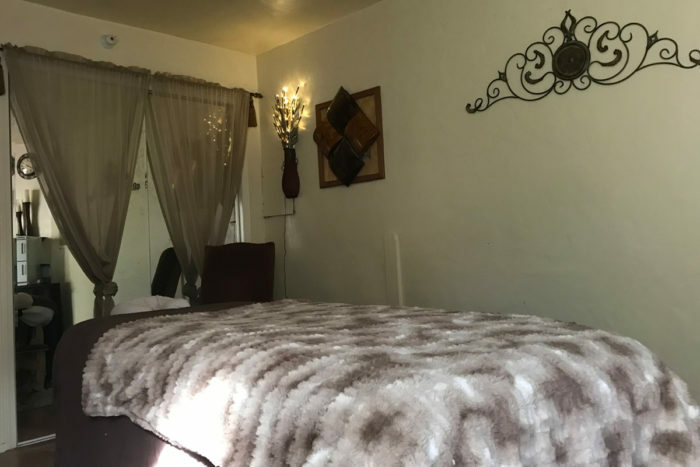 She is trained in the specialty of Oncology Massage, and also is one of only three practitioners of Orthopedic Massage in the state of Nevada. She even does pet massage! She says back in school at Texas Christian University she gave massage to the football players, and has provided massage therapy for professional athletes too. Annisa says she uses mostly organic and vegan products and prides herself on finding unique products that are designed to enhance the healing and energy process during her massage. She even uses a one-of-a-kind Alaskan Glacial Clay Detox Wrap that her mother personally harvests for her up in Anchorage, Alaska where she lives. Upstairs at Milo’s is really an ideal spot. If you’ve never been up there to see that courtyard, then you’re missing out. 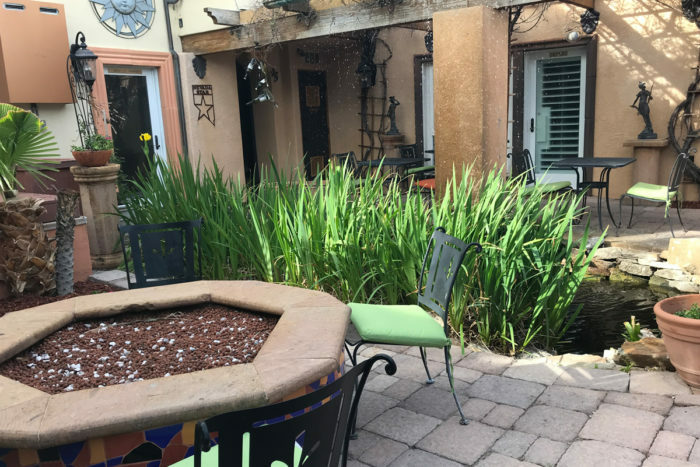 It’s private and has the lovely pond and waterfall, that makes it a perfect retreat! We think it makes this the best ‘waiting room’ in town! 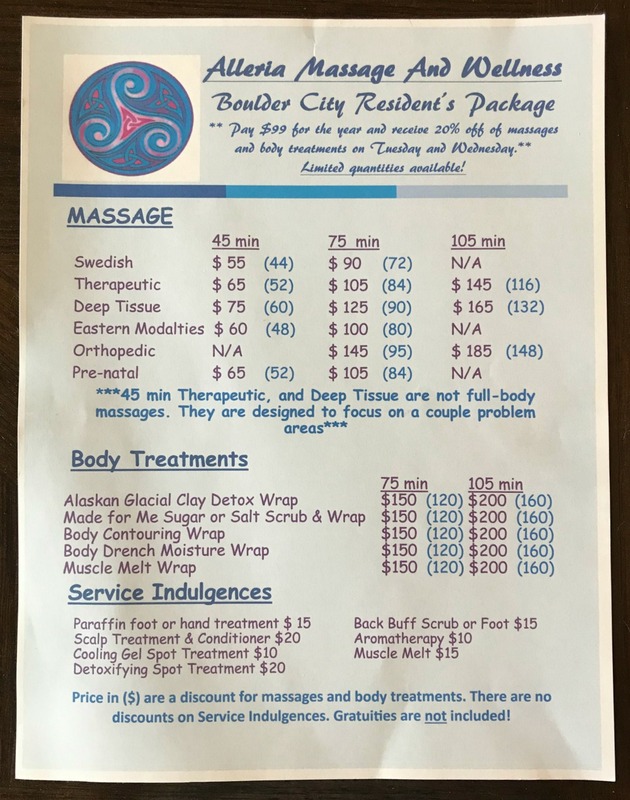 She also has a program for Boulder City residents only, pictured below. Pay a $99 fee for the year, and you’ll receive 20% Off on services on Tuesdays or Wednesdays. To make an appointment, call her at 702-860-3174 and you can learn more about all of her services on her web site HERE.